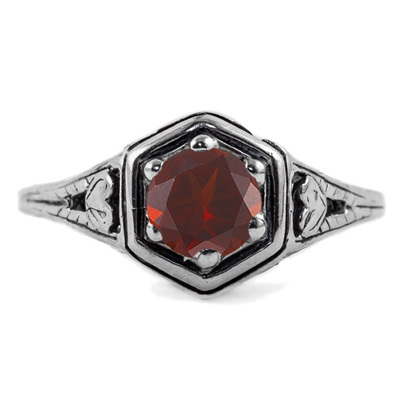 People will think you have hit the jackpot when they see this garnet gem of a ring on your hand. Apples of Gold is known for providing the best in quality and design at affordable prices. 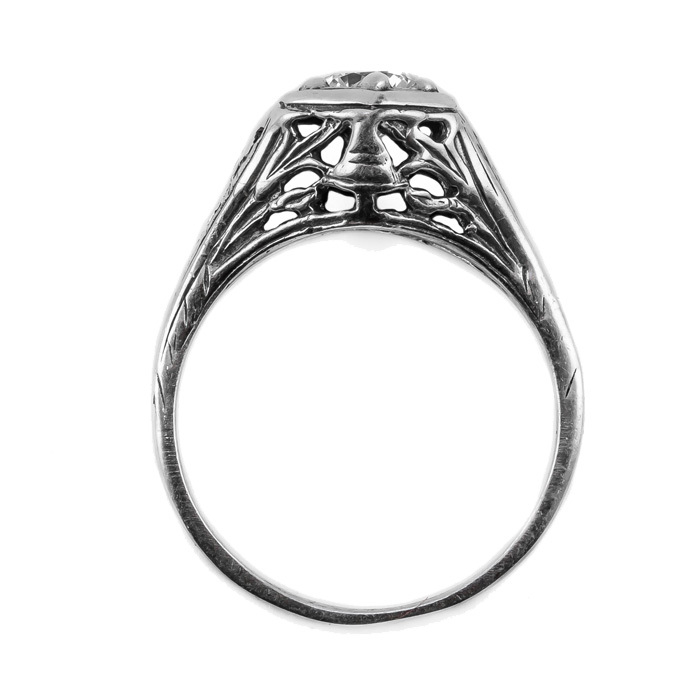 This heart antique style ring with a gorgeous red garnet gemstone will be the envy of all of your friends. 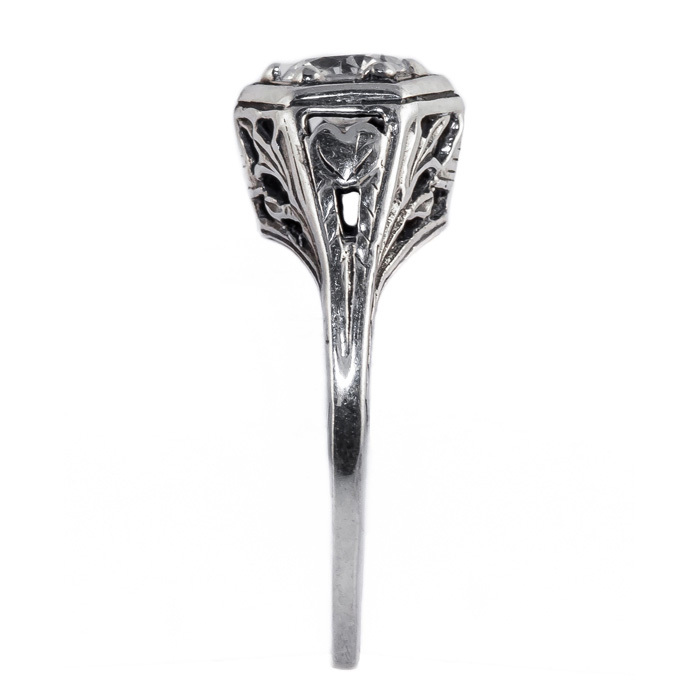 Set in shining 14K white gold and measuring 5mm, this eye popping ring is everything you wish for. This heart antique style garnet ring with 14K white gold is a wonderful way to look luxurious. We guarantee our Heart Design Vintage Style Garnet Ring in 14K White Gold to be high quality, authentic jewelry, as described above.